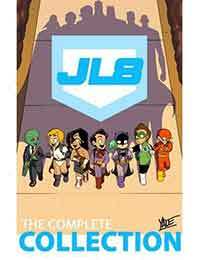 JL8 – The Complete Collection Average 0.00/5 - out of 0 total votes. JL8 is a webcomic by Yale Stewart based on the characters of DC Comics’ Justice League. Having started in 2011 under the title Little League, the webcomic presents the members of the Justice League as 8-year-old children. Stewart has used JL8 to raise funds for charities, and the webcomic has been positively received by critics.